Paul is a left-handed batsman who bowls slow left-arm orthodox who plays for Warwickshire County Cricket Club. He was born at Nuneaton, Warwickshire and educated at Bablake School, Coventry. 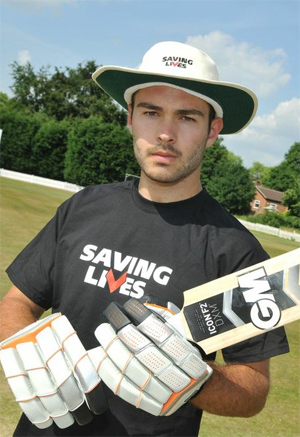 While studying Anglo-Saxon, Norse and Celtic at the University of Cambridge, Paul made his first-class debut for Cambridge MCCU against Essex in 2011, scoring an unbeaten 50 in the MCCU’s first-innings. A further first-class appearance followed for Cambridge MCCU against Middlesex, with him taking his maiden five wicket haul with figures of 6/101 in Middlesex’s first-innings. Following this he made his debut for Warwickshire in the County Championship against Durham at the Riverside Ground. His final first-class appearance that season for Cambridge MCCU followed in May against Surrey, with Best scoring his maiden century with a score of 150 from 181 balls while batting at number eight. He appeared in The University Match for Cambridge University Cricket Club against Oxford University Cricket Club at Lord’s Cricket Ground in July, taking his second five wicket haul with figures of 6/86 in Oxford University’s second-innings. Prior to this, Paul had made his List A debut for Warwickshire in May against Leicestershire in the Clydesdale Bank 40. He made a second appearance in that competition for Warwickshire against Durham. In July 2011, Paul joined Northamptonshire on loan for the remainder of that season. He made a single County Championship appearance against Glamorgan, as well as four List A appearances in the Clydesdale Bank 40.